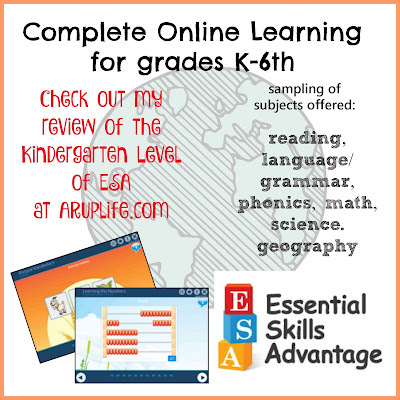 Having online learning for my youngest has been a great help with our homeschool. Yes, we still do traditional books but he is always wanting to do more. With 3 school aged kids I just don't haveextra time to sit for hours - that is when it is easy to put him onto the computer to practice his skills. 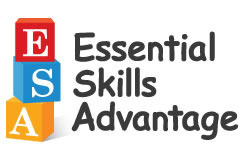 For this review Essential Skills Advantage gave us an online subscription to Complete Home Learning Suite. The Complete Home Learning Suite or ESA as we call it is done entirely online. It is easy to log on and get started. 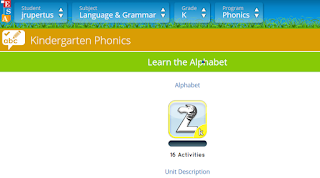 They feature subjects for kindergarten through sixth grade. Each grade level does offer different courses so I'm going to focus on what we used which is Kindergarten. Each of these subjects when clicked on brings you to the grade level and then takes you further into the activities for the subject. It is really simple to click through and see your progress and where you left off. The progress bar gives you a quick glance at how far you are in a particular activity and the amount of total activities for that unit. This activity was sorting the alphabet into ABC order - and was under Language & Grammar. 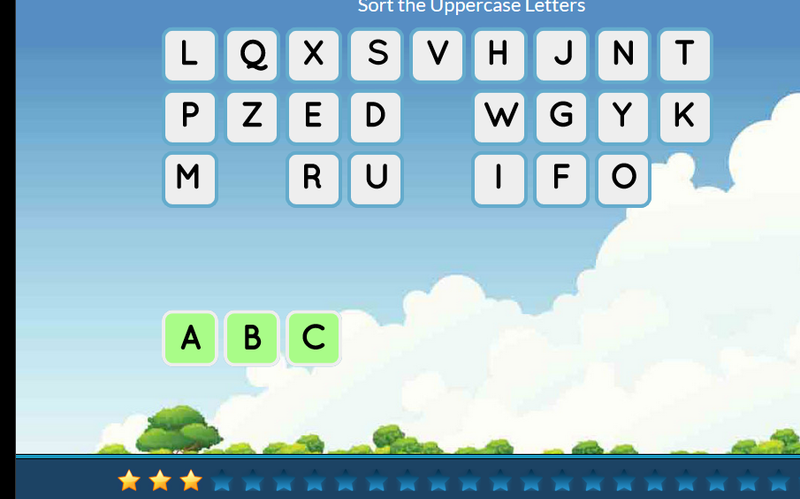 The assignment just had you clicking through the alphabet in order. 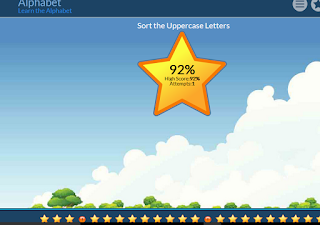 As you progress you earn stars across the bottom. Once you earn all the stars the activity is finished and you can move on. Each section tends to have several activities to do until you've mastered the whole section. A star appears when you are finished and tells you the stats for the activity. For this review my son who is mostly in kindergarten was the working student (I say mostly because his birthday is in November but he is ready to learn). We used this as a supplement in addition to his normal curriculum. We've worked through almost all of the Reading section and we are now branching out into the additional subjects. We have not had any problems with ability to complete tasks and each seems age appropriate building on difficulty as you progress. J-man worked on this several times a week and would spend about 10-20 minutes at the computer. I let him stop when he was ready so we didn't require anything special on our end to complete. He is a little bit OCD and liked to get all the stars in a section before finishing for the day. 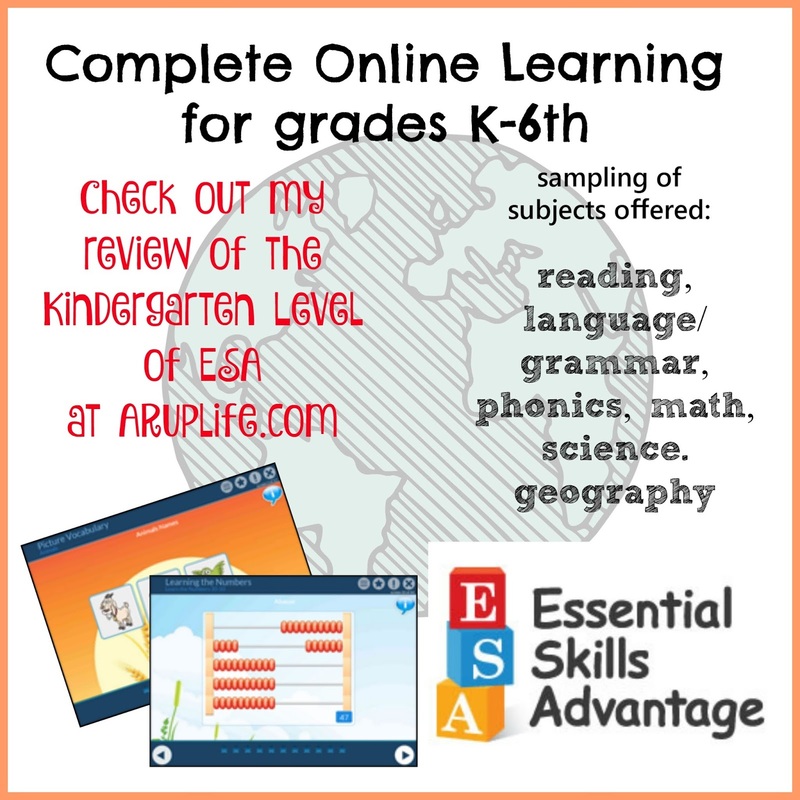 I like having ESA as an addition to our homeschool. When the 5 year old wants to do something school but I'm too busy to sit and do additional work this has been a real blessing to just log him on and let him go at it. I like the variety of subjects and the amount of activities. The ability to move him around from place to place and grade to grade is nice too. 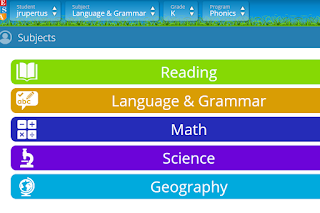 It allows you to customize if your child is ahead a few grades in math but on grade for reading. The parent section allows me to see progress, create a report card and even print a certification for completion. I like those features and how simple and easy to navigate all this is from both the student section and parental parts. Overall this was an enjoyable program and very useful for our homeschool.